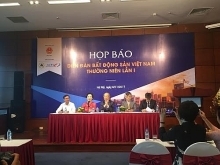 (VEN) - The Hanoi Trade Promotion Center for Agriculture under the municipal Department of Agriculture and Rural Development has developed an electronic system to allow consumers to search for the origin of agricultural products on smart phones. 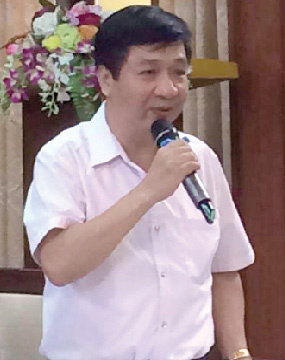 Vietnam Economic News’ Nguyen Hanh talked with center director Nguyen Van Chi about this matter. Hanoi was one of the first two localities nationwide to develop an electronic system allowing consumers to search for the origin of agricultural products on smart phones. Could you say something about this plan? This year, we have developed this system for five production facilities with nearly 100 products and six distribution companies with 350 products. This system helps tighten management over food safety and hygiene. It also supports businesses in protecting their brands. Consumer feedback will help businesses improve their products to meet growing consumer demand. Moreover, the system helps businesses increase sales because it provides consumers with clear information about product origin, making them feel secured about the quality of products so that they can order online. I think this system is good for manufacturers, distributors, and consumers as well as management authorities. How will the use of QR codes be managed? QR codes are used to provide consumers with transparent information about products but not for the purpose of quality management. Through these codes consumers can know the kinds as well as the expiry dates of certificates which have been granted for products. Consumers can send their feedback to manufacturers and management authorities. How can consumers identify genuine products through this system? Consumers can get information about products from any distribution channels. They can use smart phones to take photos of QR codes to search for detailed information about products, their manufacturers and distributors, as well as certificates they have received. We will organize meetings to provide management authorities, manufacturers, distributors, and consumers with training on how to use the system effectively.